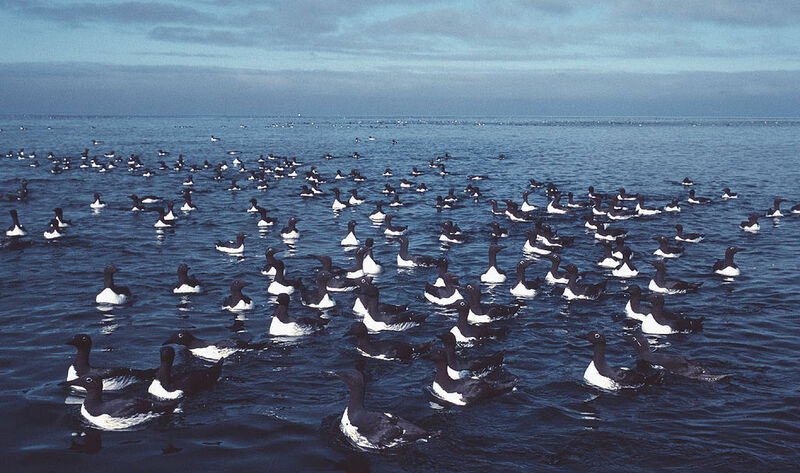 Guillemots are seabirds that spend most of their lives on the open oceans. They dive for fish and normally only return to land to mate and raise their chicks. But in the last few weeks, thousands of dead or dying guillemots have been washing up on Dutch beaches. The birds do not appear hurt or injured, though they are very thin. Figuring out what killed the birds is tricky. Scientists have studied a few of the dead birds. They say that the ones they have looked at so far appear to have starved. It’s not clear why that would have happened. In the last few weeks, thousands of dead or dying guillemots have been washing up on Dutch beaches. 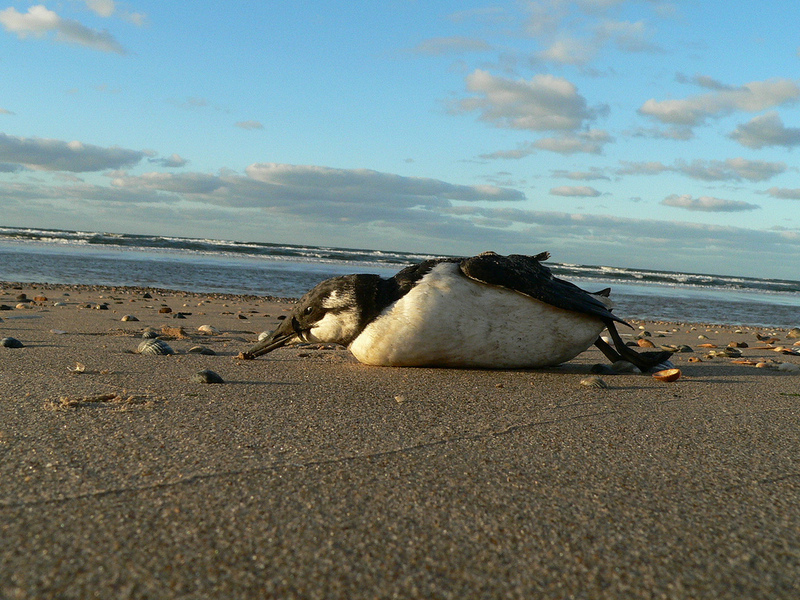 The picture shows a guillemot that died in 2010. Scientists believe bad weather may be part of the story. During rough weather, it’s not unusual for a few weak birds to wash up on shore. But guillemots haven’t died in these numbers in 30 or 40 years. Scientists think there must be something else going on, too. They have collected over 100 of the dead guillemots to study more carefully. Some people wonder if the bird deaths may have something to do with pollution from containers that fell off a ship. 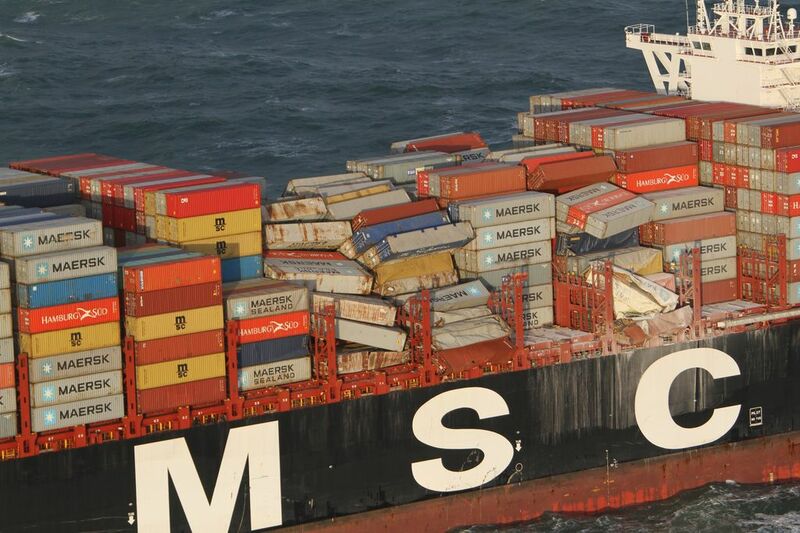 On January 2, 345 containers fell off of the container ship MSC Zoe, one of the largest container ships in the world. The place where the containers fell overboard was near the Wadden Islands, the first place that the guillemots started turning up dead. At least three of the containers were carrying dangerous chemicals. 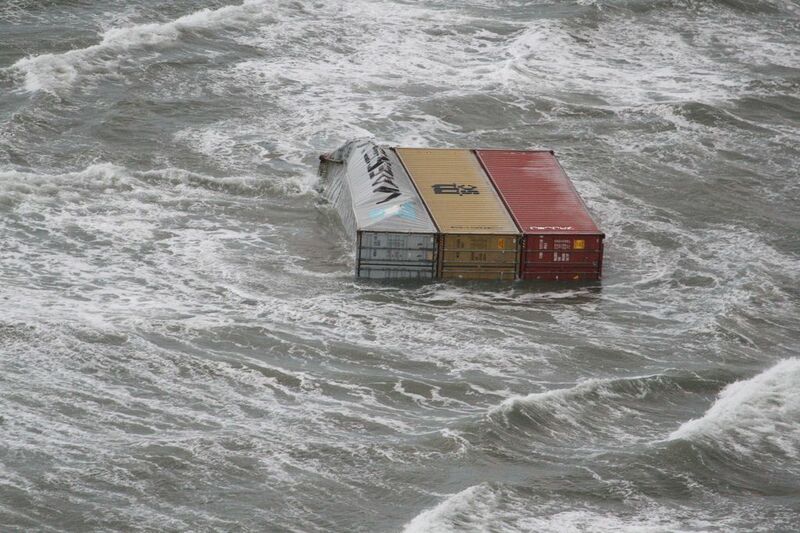 On January 2, 345 containers fell off of the container ship MSC Zoe, one of the largest container ships in the world. So far, there is no direct connection to the containers that fell from the ship MSC Zoe, But the guillemots began washing up soon after the containers fell overboard. Also, the birds only seem to be dying near the Dutch coast. Guillemots in places like Germany and Belgium seem to be doing just fine. Scientists don’t think it’s likely that the birds died from eating plastic. They think most of the plastic lost from the MSC Zoe would have been hard for guillemots to eat. 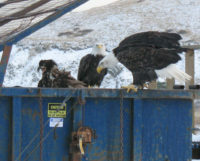 Some people wonder if the chemicals in some of the containers may have caused the bird deaths. But so far the scientists have found no plastic or unusual chemicals in any of the birds they’ve studied. Some people wonder if the chemicals in some of the containers may have caused the bird deaths. So far the scientists have found no plastic or unusual chemicals in any of the birds they’ve studied. They hope they will know more when they finish studying the rest of the guillemots they have collected. 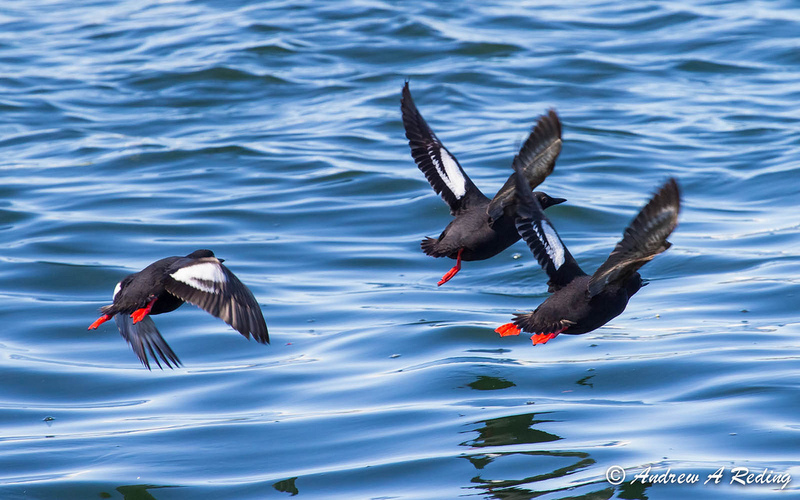 Though the loss of 20,000 birds is both sad and important, guillemots are not in danger of dying out. There are about 2 million in the North Sea. 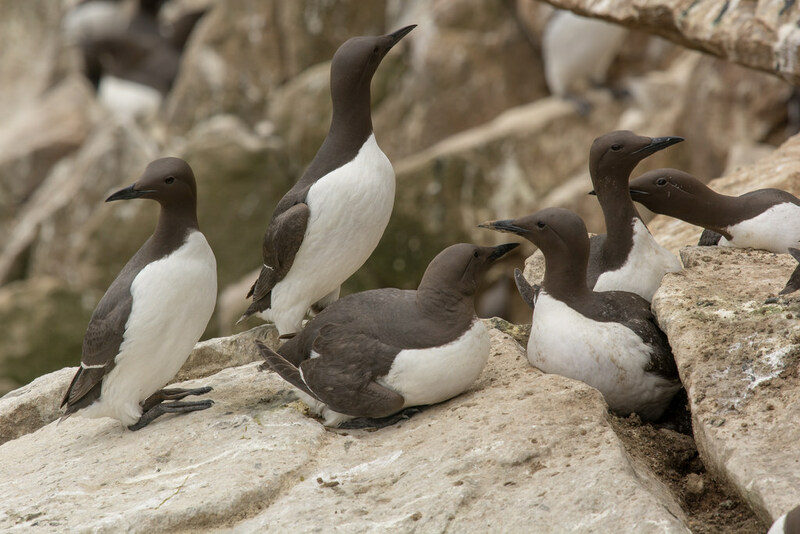 And even though thousands of guillemots have died, workers have been able to save hundreds of birds. 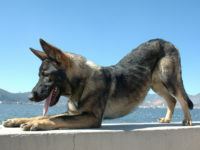 They have taken them back to rescue centers to care for them. The rescue workers are feeding the guillemots through tubes until they gain enough weight to eat on their own.